At Toronto Refrigeration, we provide a wide range of furnace repair services to help you stay warm, whatever the weather. Our dedicated and talented team of repairpeople are trained to deal with any kind of problem your heating system might encounter, and our mission is to make sure they get to you exactly when you need them, by providing same-day repairs and solutions you’ll only need us to implement one time. When your heating system malfunctions or breaks, you need it fixed ASAP, not only for your own comfort but for the health and safety of your family, and even the structural integrity of your home. We understand this, and it’s why being able to offer you same-day service is so important to us. Our #1 goal at Toronto Refrigeration is to get your heating system back up and running like new, 24 hours a day, 7 days a week. 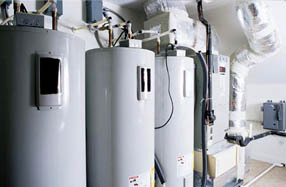 If your heating system simply needs new parts, we have dedicated access to a supplier who will be able to make sure those parts get to you on time; if you’re in need of a completely new system or installation, we can help you with selecting an energy-efficient option that will benefit both the environment and your bills. At Toronto Refrigeration, we pride ourselves on being able to give our clients the best heating repair Toronto has to offer. Do you need our service right away? Toronto Refrigeration offer fast, same day service throughout Toronto and the surrounding areas. Our Repair technicians are factory trained and certified to repair most popular brands in your home. We Repair all kind of appliances like, refrigerators, freezer, washing machines, dishwashers, dryers, stoves, ovens and garbage disposals.